Design Builders & Remodeling Inc.
Rhonda Eleish and Edie van Breems are the founders of Eleish van Breems, a company whose approach to design stems from a modern application and interpretation of historic Scandinavian interiors and form. They started their company in 1997 with a mission to, wherever possible, introduce a clean, elegant, and fresh approach to interiors, all with a Scandinavian essence. Eleish and van Breems are the authors of three bestselling Scandinavian interior design books, Swedish Interiors (2007, Gibbs Smith Publishing), Swedish Country Interiors (2009, Gibbs Smith Publishing), their third and "Reflections on Swedish Interiors" (2013, Gibbs Smith Publishing). In Fall 2016, Rhonda Eleish and Edie van Breems will be featured in the new Rizzoli book, "Interior Design Master Class" by CJ Delatore. The work of Eleish van Breems has been featured in national and international print publications such as House Beautiful, Elle Decor, Veranda, Glamour, Country Living, Gods & Goddar, Huffington Post and The New York Times and national/international television programming such as Martha Stewart Omni Media, PBS, This Old House, Editor at Large and HGTV-Canada among others. Rhonda Eleish is a founding member of The Leaders of Design Council and a member of the Design Leadership Network. We have been in this location for more than twenty years and are a proud dedicated Wood-Mode, and Brookhaven Dealer. By offering these two well established lines of cabinetry we are able to fit your specific needs and more importantly, your desired budget. Whether it is the Custom Brookhaven cabinetry or original Wood-Mode Custom cabinetry, we will find what works best for you and make your dream kitchen a reality. Bob Blanco, owner of Shore & Country Kitchens, has been designing and remodeling kitchens, baths, and many other types of rooms for many years. A very talented and creative designer, Bob brings his extensive experience to every project. 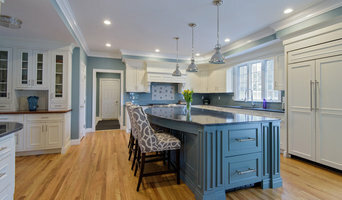 Shore & Country Kitchens has designed and overseen projects well beyond Fairfield County. We have taken on projects in Nantucket, Martha's Vineyard, Newport, Bermuda, Sanibel Island, and Grand Cayman Island. Bob and his staff work as a team to help their clients create the perfect environment. They have a comprehensive knowledge of historical and architectural styles and understand that even the smallest detail is essential to the overall scheme. 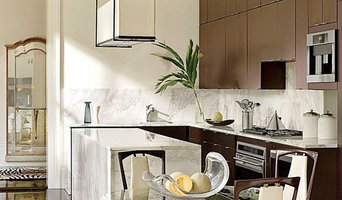 In addition to kitchen design, our staff also has backgrounds in interior design which will help achieve your vision. We are experts at utilizing every inch of space, whether in a small kitchen to maximize the function, or in creating a large chefs kitchen any professional chef would be proud to call their own. 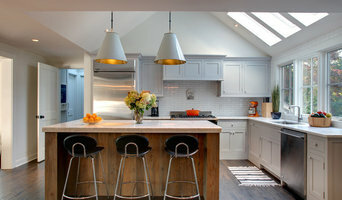 Whether it is a kitchen, bath, library, or family room, Shore & Country Kitchens is involved from the earliest planning stages until the project is completed. Shore & Country Kitchens has a team of highly skilled installers and can coordinate other trades so your project runs smoothly and is completed in a timely manner. In addition to creative designs and effective planning, Shore & Country Kitchens offers the finest quality products, including Wood Mode and Brookhaven cabinetry, Natural Stone, Quartz, Concrete and Solid surface counters, and a large selection of decorative hardware to add the finishing touch. ODell Development is a full service residential design-build company serving Westport, Connecticut and its neighboring communities. O’Dell launched in 2013 as a speculative provider of high quality, high efficiency homes whose merits were quickly sought in the custom market. ODell Development specializes in working primarily with private clients on new homes and large scale renovations. Whether you need a builder only for your project, or an entire design-build team to bring a vague idea in your head to fruition, ODell Development can make your vision a reality. Chris O’Dell grew up in Westport, CT where he got his first start in construction after high school working for a local carpenter. He graduated from Michigan State University in three years with a degree in Construction Management and has worked in this capacity ever since. 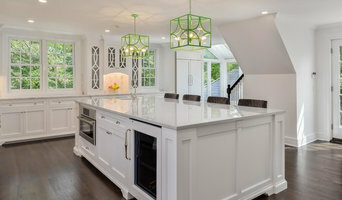 The focus of his 20 year career has been high end residential construction in Fairfield County, Connecticut.